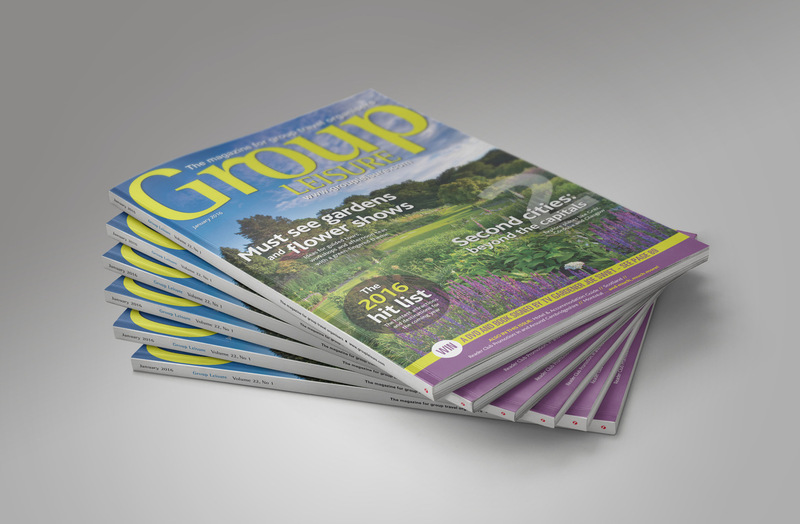 This is the January issue of Group Leisure. 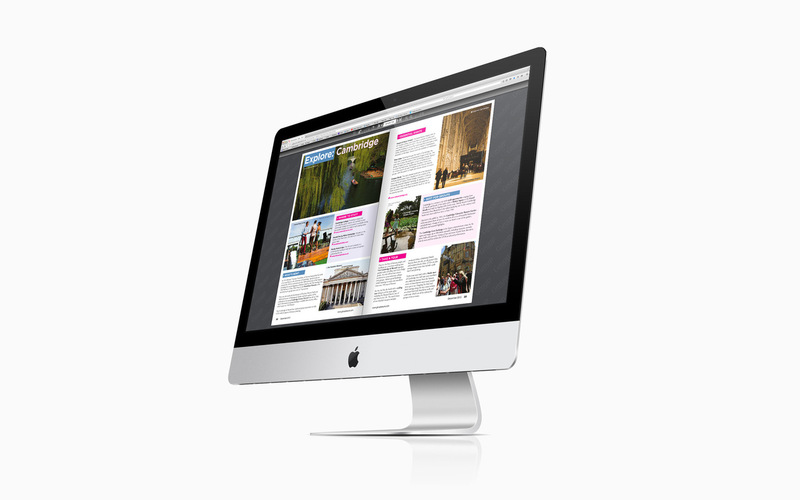 Group Leisure, a monthly magazine I helped to design, showcased all types of events/activities within the UK and abroad. The magazine also provided information on upcoming events for larger organised groups, which wouldn't necessarily be found in a normal travel magazine. This is an 'explore' feature. It provided information on either short or long haul trips for groups. 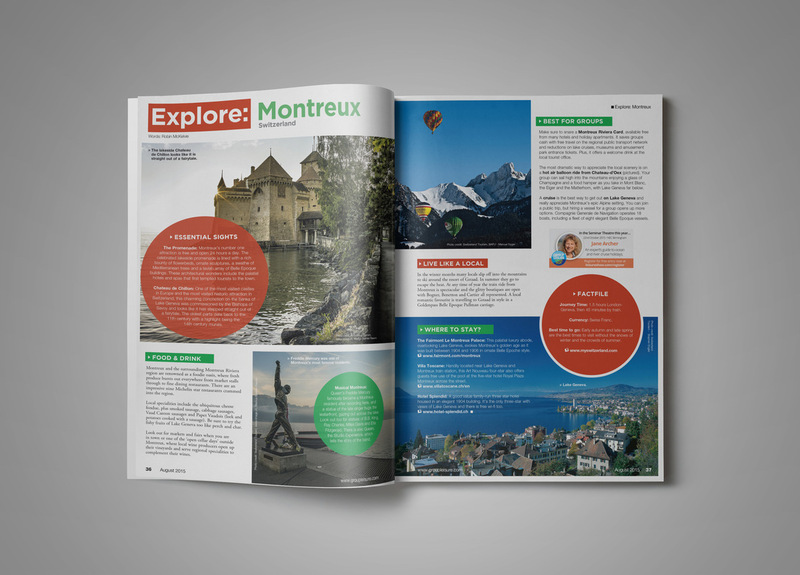 This example focuses on Montreux in Switzerland. It was mainly viewed online by our readers. One of my responsibilities was to create and publish the online e-magazine, not just for Group Leisure but for all magazines/directories Yandell Media published. 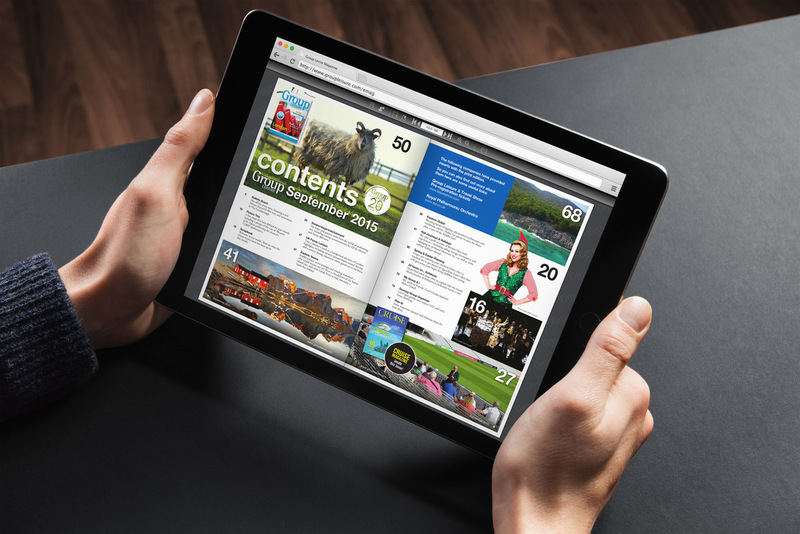 The magazine is available on Apple & Android tablets.